the Fold explores waters as a reflective surface, creating mirrored images and abstract cellular forms. The term, "the fold," was inspired by the book by Gilles Deleuze, who postulated that the inside was nothing more than a fold of the outside. 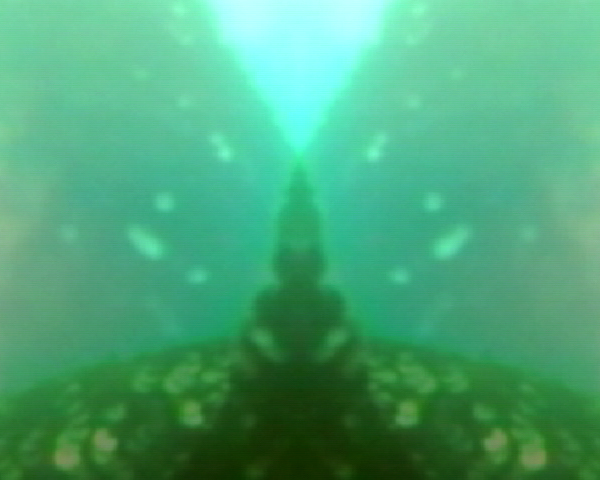 In this film the underwater world projected reflects itself, folding into itself, also discussed in his book. 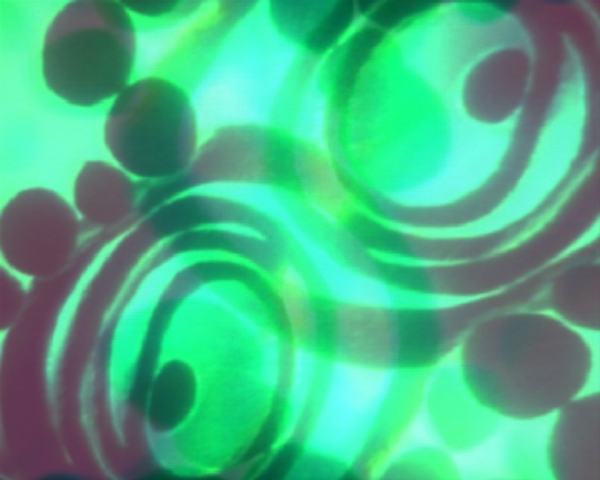 But beyond this inspiration, the film was primarily inspired by the underwater realm itself. What is unique about this animation is the use of water. Typically shot in a very controlled environment, animation is known as a medium of control and precision. 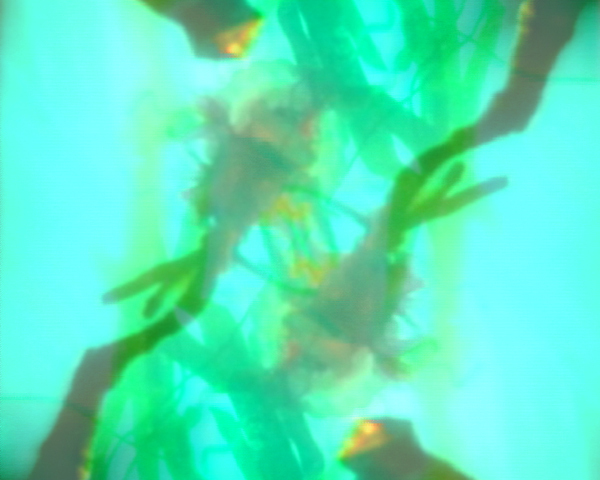 In this film the combining of water and animation allows for an exploration of both mediums. 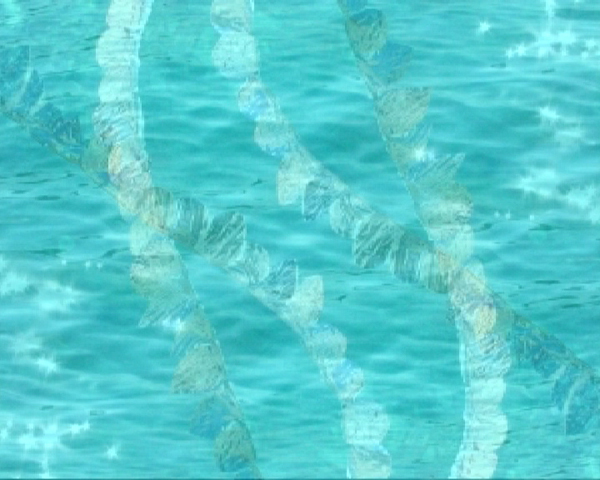 the Fold allowed the water to do some of the animating and in some instances the water was animated. 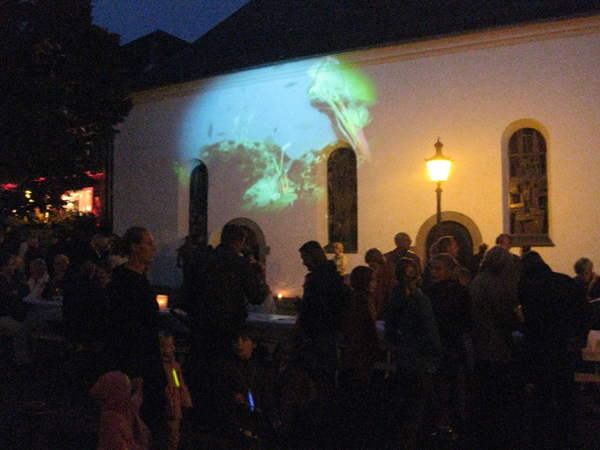 the Fold was screened as a single channel video and also as an urban projection as shown below. It was filmed at sub-art in Croatia.